Here is another great deal you can score at Rite Aid this week. 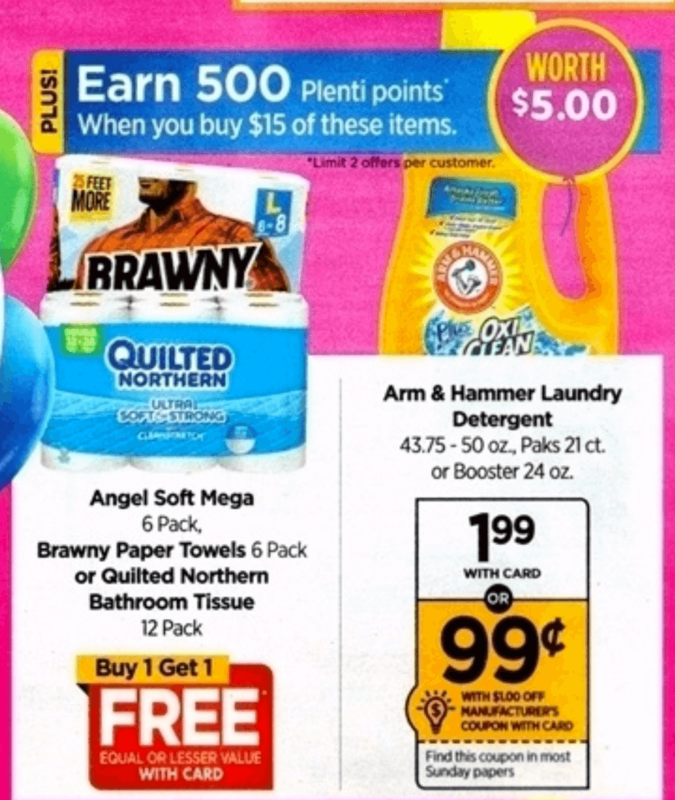 Arm & Hammer Liquid Detergent 43.75 to 50 oz, Power Paks 21 ct or In-Wash Booster 24 oz are on sale for $1.99, they are also counting toward a weekly Plenti Points offer, spend $15 on select products you will earn 500 Plenti Points ($5.00, limit 2). Our deal idea scores us 4 Arm & Hammer Single Dose Detergent 21 ct and 4 Arm & Hammer Liquid Laundry Detergent 50 oz all for just $2.92 or $0.38 each!